Over 8000 refugees currently living in Moria Refugee camp which was built to house 3000. Since 2015, over 100,000 refugees have passed through Lesvos Island. There are currently over 11,000 refugees housed on the islands of Lesvos, Chios, Samos, Kos and Rhodes. 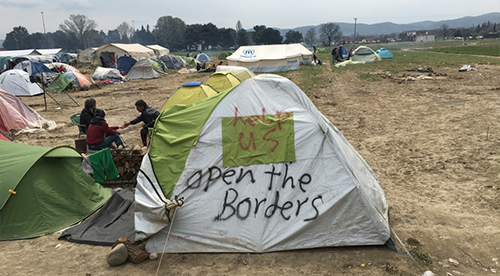 There are more refugees coming through the north-eastern Greek border from Turkey every day. According to IOM, through July 15, 2018, the total number of sea arrivals to Greek territory since January 1st is 14,678. April remains the busiest month for irregular migration by land and sea to Greece, with a total of 7,009 men, women and children arriving. February was the lowest with 1,610. Since 2015, over 100,000 refugees have passed through Lesvos Island. There are 2 refugee camps on the island. All new arrivals are brought to the largest and main camp, Moria, outside of the city of Mytilini, where they are registered and given a full medical screening. The Greek Police and Army oversee the running of the camp and Keelpno is the governmental organization which is responsible for the refugees’ healthcare on Lesvos. 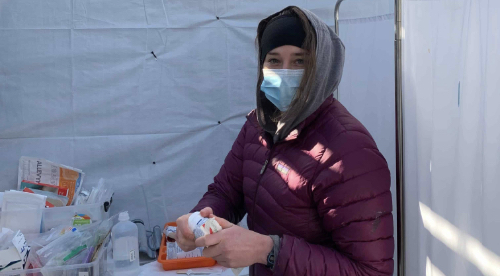 This mission is conducted in partnership with the Philos Keelpno project, the Greek government’s Emergency Health Response to the Refugee Crisis. They have run the camps since mid-2017. 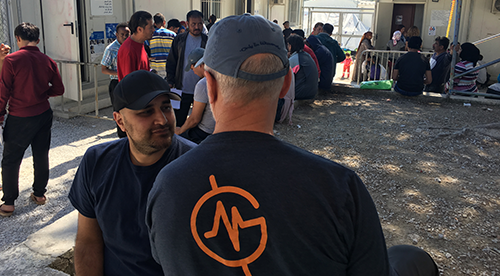 MedGlobal will be delivering primary care services to the refugee population in the Philos Kleepno primary care clinic. We are looking for general and family practice physicians who are comfortable treating both children and adults. There is a minimum 2 week commitment. Mission dates are ongoing through March 2019. MedGlobal will be delivering primary care services to the refugee population in the Philos Kleepno primary care clinic. We are looking for primary care physicians who are comfortable treating both children and adults.